Los próximos días 15, 16 y 17 de noviembre estaremos en Bruselas para presentar el Observatorio Noctàmbul@s y los resultados de las investigaciones desarrolladas a lo largo de estos años. Lo haremos en el 4º congreso internacional Nights 2018 sobre economía, cultura, desarrollo urbano y salud en la vida nocturna. “Who shall take care of the night? The experts, the politicians, the clubbers, the street workers, the citizens, you ? Belgium has a very diverse and rich nightlife culture. It is famous for its world class festivals, its amazing club scene, and its wide variety of bars and restaurants. 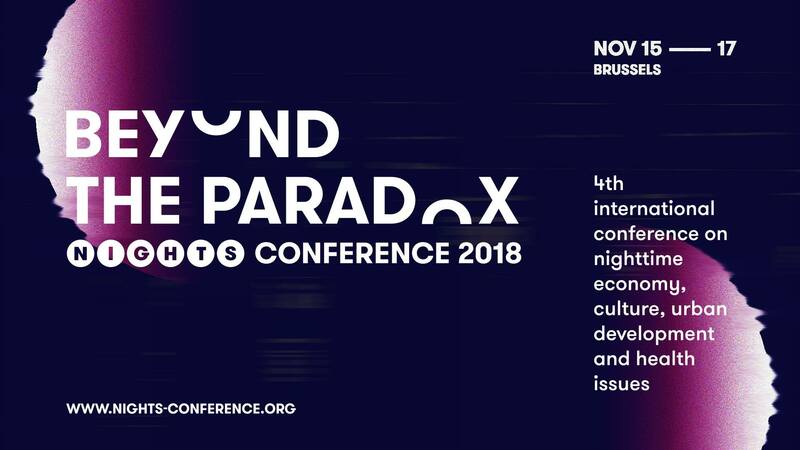 That is why NIGHTS2018 will be hosted in Brussels for 3 days & 3 nights. 46 sessions and many side events with cross-sectoral workshops, discussions and project presentations will also provide an excellent opportunity for interdisciplinary networking on a European scale.